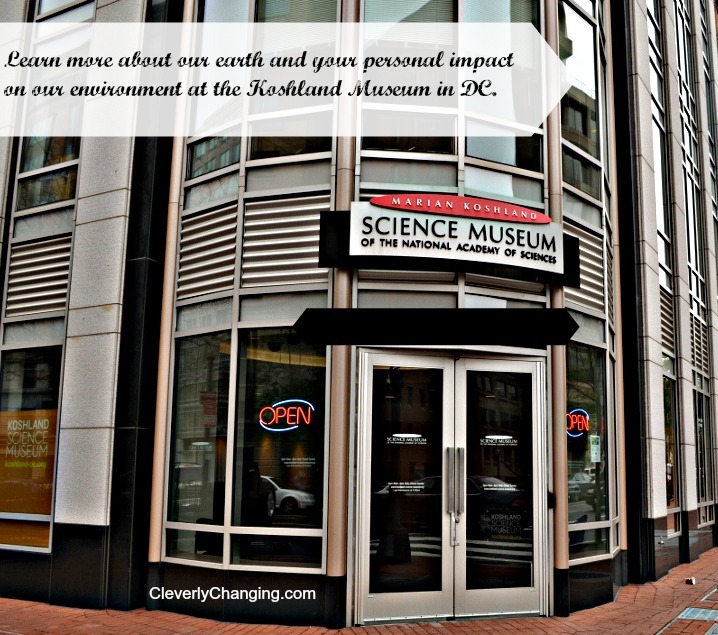 Recently, I visited the Marian Koshland Science Museum in DC. Although the museum is small compared to others in DC, there were several fascinating exhibits. The Earth Lab stood out to me, because the exhibit helped visitors see global warming not just as a national problem, but a problem that personally efforts everyone. My visit to the museum encouraged me to think about my own personal habits and what changes I could make to reduce my carbon footprint. What is a carbon footprint? A person’s carbon footprint is your personal impact on the environment and climate in relation to the total amount of greenhouse gases (carbon dioxide) your activities, lifestyle, and actions are pumping into the atmosphere. It is great to be considerate of the environment, but even better when you can do so effortlessly. 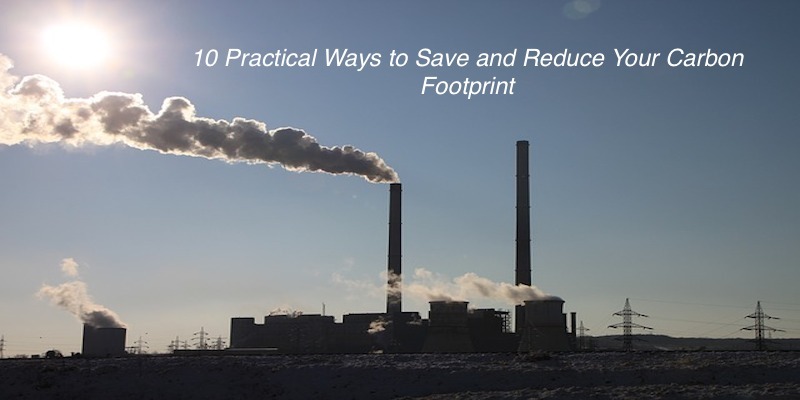 There are subtle changes you and your family can make to save money and reduce your carbon footprint. Why is too much carbon dioxide in the air harmful? Unfortunately, we are releasing more CO2 than our planet can handle. Trees and plants help us recycle carbon dioxide, but when we cut down trees and plants we cripple this cycle. Using public transportation or walking. Trips into the city, take the train. Instead of driving to the gym use an exercise video, walk, or run around your block. Carbon dioxide is released every time your vehicle burns fuel while helping to transport you. One car per family. Try biking, walking, or plan your trips so that you will not need to make multiple trips in the same direction. This will help you will save both time and fuel. The cost of gasoline continues to increase so combining trips will help you conserve the fuel in your tank and you will save money at the pump. Eating locally grown foods. Many communities have local farmers who are willing to sell fruits and vegetables from their garden. This produce usually travels much less that food found within our local grocery stores. Purchasing local also means that the vegetables did not need to travel as far to be consumed by you and thereby, emits less C02 into the atmosphere. Unplug and turn things off when they are not being used. this will not only save electricity and energy, but money on your electric bill as well. If possible go a step further and use solar panels or wind energy to generate electricity for your home. In order for our homes to benefit from electricity there is a large plant that produces the energy from coal, natural gas, oil, water, or other sources. Coal is a dirty energy source and natural gas cannot be reproduced within our lifetime so just because we may not see the fuel burning doesn’t me that our actions are not impacting it. Recycle your batteries and other electronics. Many stores have recycling programs such as Ikea, Walmart, and Best Buy. Below are two stores that will also pay you to recycle certain electronics. Subtle ways parents can save and reduce CO2. Buy used toys. I once read that you shouldn’t buy used toys, and I completely disagree. With a keen eye you can often find toys that are practically new; especially electronic toys that make noise and are battery operated. These toys are often educational, but drive many parents crazy because they don’t to hear them. Read used books. You can purchase books at very low prices from thrift stores, amazon, or libraries. Many libraries have sell days when they sell books that they make have too many of, donated books they don’t need, or books that are no longer circulated. Occasionally, I have found new books in these same places. Sell or give away your old clothes and other gently used items instead of putting them in the trash. Remember the old saying, “One man’s junk is another man’s treasure,” sites like Ebay, Craigslist, threadUp, and others have proven that this saying is still true today. Breastfeed. LOL. OK gentlemen, this one may be difficult for you, but support and encourage your spouse or girlfriend to breastfeed. The benefits are many and it saves money and time. This will also help lessen the amount of bottles and accessories that are also purchased for formula/bottle-fed babies. Overall, less consumption, less landfill waste. These suggestions, not only reduce your carbon footprint, but they will often save you money in the long run. so if you are trying to manage your impact on the environment and your wallet adhere to these simple 10 suggestions and you will.